On behalf of the MAAA, I am sending through this email to update our members on the proposed CASA Registration and Accreditation Scheme outcome for MAAA Clubs and Members. Your Executive prepared significant supporting documentation for Mr Shane Carmody, the Director of Aviation Safety (CASA) in light of the proposed registration and Accreditation of RPA’s within Australia. On Monday 25th March the MAAA Secretary met with three high level managers of CASA in Chris Monaghan, Anthony Stanton and Luke Gumley. This was in relation to the direction of the CASA registration and accreditation system. The material presented included significant information on the historical safety performance of the MAAA. Senate Enquiry into the flying of Remotely Piloted Aircraft (RPAS) "Drones"
The flying of Multi Rotor aircrafts, commonly referred to as "Drones", is a fast growing aspect of our sport/hobby and is growing faster than any other discipline. Other disciplines have been adopted in a slow and steady manner; but this is not the case with the introduction of multi rotors. Combined with the rapidly growing development in technology, there has been an explosion in the take up of multi rotor flying. In the past, one needed to learn to fly and save to purchase or build a model. These developments evolved slowly and in line with conventions of the day. This is not the case with multi-rotors, which are now available in most departmental stores at very affordable prices. Enter the 2016 FAI Young Artists Contest and Show the World How Talented You Are! Are you keen on painting or drawing? Have air sports always made you dream? Are you concerned about environmental issues? If so, then pick up your pens, pencils or brushes and enter the 2016 FAI Young Artists Contest. The aim is to create a picture that illustrates this years' theme "Air Sports in Harmony with Nature", and show the world just how talented you are. 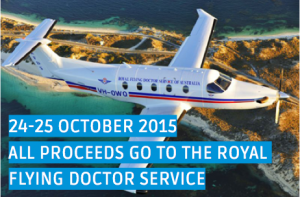 Be part of the Australian Model Flying Day - 24 & 25 October 2015 and help support the Royal Flying Doctor Service. Peter Bryner has provided the MAAA with an update about an IMAC competition held in March. There were 23 competitors. A number who stayed overnight at the field. 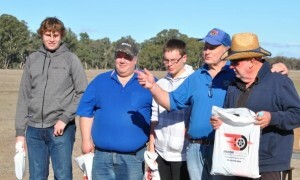 Eight travelled over from Western Australia, their planes trailered over the long drive. Frazer and Mike Briggs flew in from New Zealand together with a disassembled Extra 300. Aaron Garle flew with family from Queensland, flying others planes, was still placed second after Frazer Briggs in the Unlimited class. Sixteen Scanners all in a row, Sixteen Scanners see how they go, that might rhyme but we did have a great time, under almost perfect weather conditions in a lovely autumn day, cool to start then lovely warm day with very little wind, 10 points to the weather Gods they got it right, Sunday the 3rd of May. What a start to 2015! 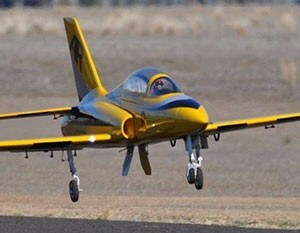 The MAAA, the leading body for aeromodelling in Australia, through its membership with Air Sport Australia Confederation (ASAC), is now formally recognised by the Australian Sports Commission as the National Sporting Organisation for Aeromodelling. In short, the MAAA has secured Sporting Status. From displaying large scale model aircraft at Science and Technology week in A.C.T. 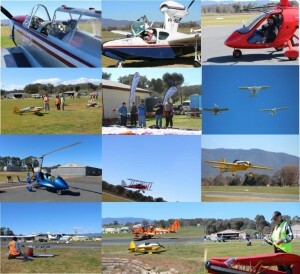 to a successful Open Day and being a pivotal part of the Australian Airmail Centenary Celebrations, the National Aeromodelling and Aviators Society has been working at the grassroots to promote model aircraft flying. The MAAA President and Secretary will be in Canberra on 15 -16 October to attend a meeting with CASA regarding the rewriting of CAS Part 101. Andrew Barrett (member) talks about ticking off one of his "bucket list" items. My wife and I finally ticked off one of our most awaited "Bucket List" items this year. We spend two weeks on the south island of New Zealand touring enjoying both the scenery and the air museums. 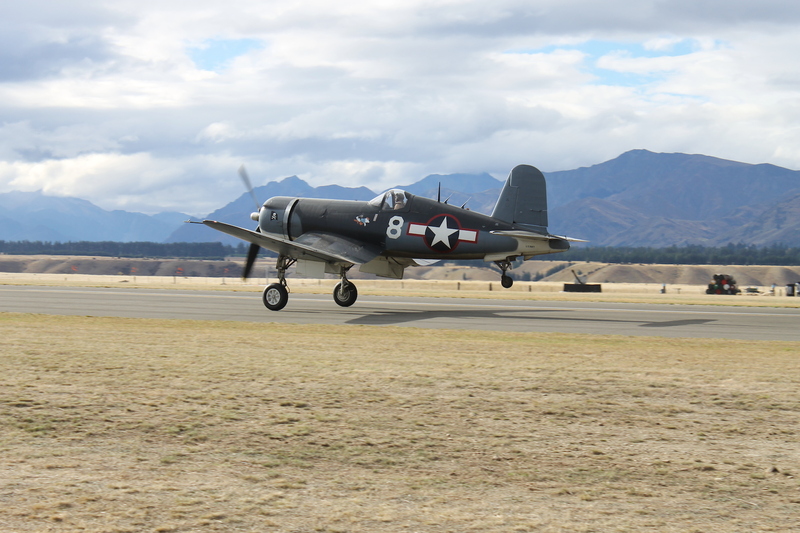 A fitting finally to a wonderful overseas trip was spending the last few days at the Warbirds over Wanaka International Airshow. 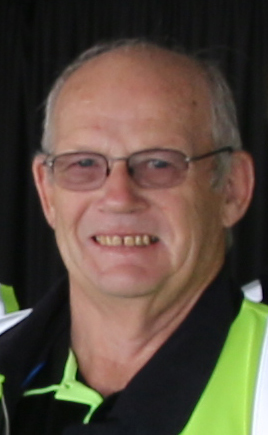 A special report from MAAA President Neil Tank. MAAA President Neil Tank talks about a new direction for the MAAA. During my time as president of the MAAA I've been working hard to ensure we have clear conversations with our members and that we provide the tools that our clubs need to make it easier to get out there and enjoy flying! Last year, the MAAA went through a process to approve a new strategic plan that will see the organization move in a new, considered direction. 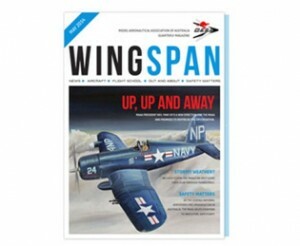 We bring you Wingspan, our new quarterly digital e-magazine. In the first edition we look at management matters that clubs may face, introduce you to the Wingspan Flight School, bring to light some common safety incidents and get out and about with our members. Up, up and away…the MAAA flight school! Everything you need to know to take off into the blue! Enjoy Wingspan, the MAAA's new digital magazine and see what's happening at clubs near you! See the latest models and events from around the country!